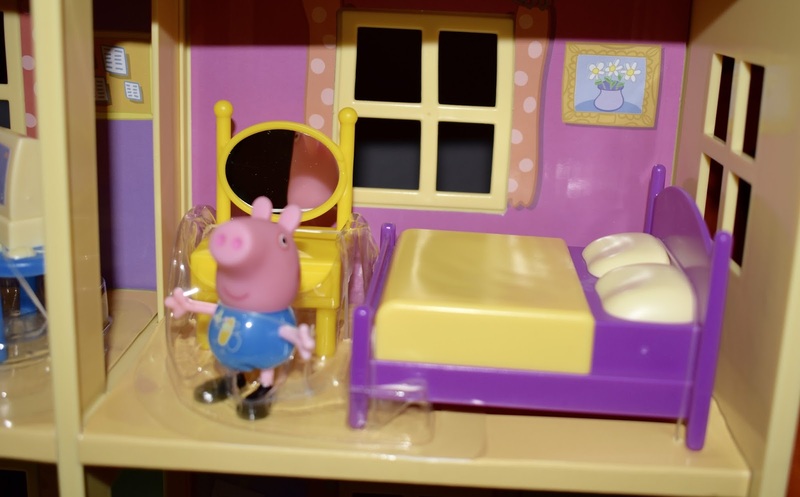 *The Peppa Pig Lights N' Sounds Family Home was received for the purpose of review. All opinions are a 100% my own. 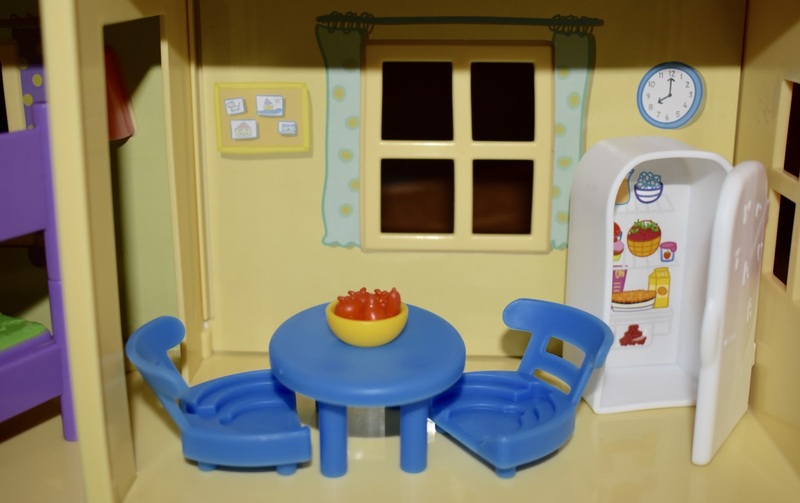 This adorable "doll house" will be your little one's dream come true. The Peppa Pig - Lights N' Sounds Family Home is the perfect size for little hands and big imaginations. If you are looking for a toy that will keep your little one busy for long periods of time, and keep them interested for months to come this play set is one to check out! 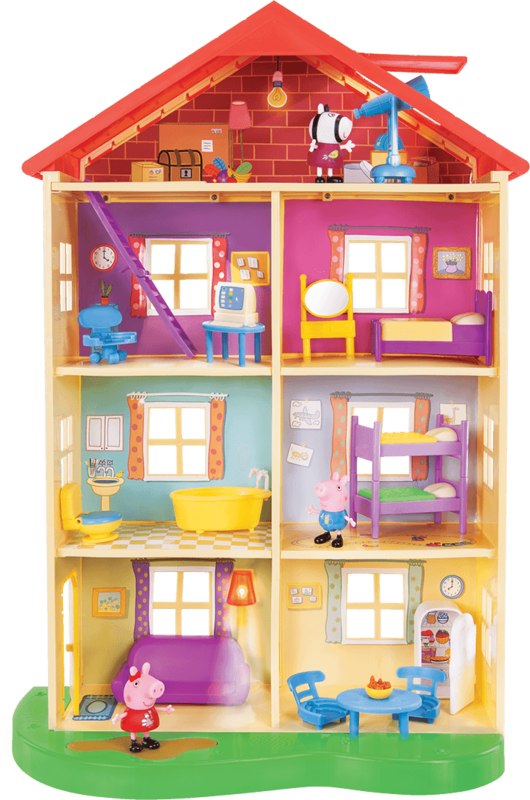 Peppa Pig fans will squeal in joy at the 22" Lights n' Sounds Family Home that features 7 rooms over 4 floors and includes 13 amazing accessories along with 3 character figurines! Made to withstand hours of playtime, no loose peaces falling apart. 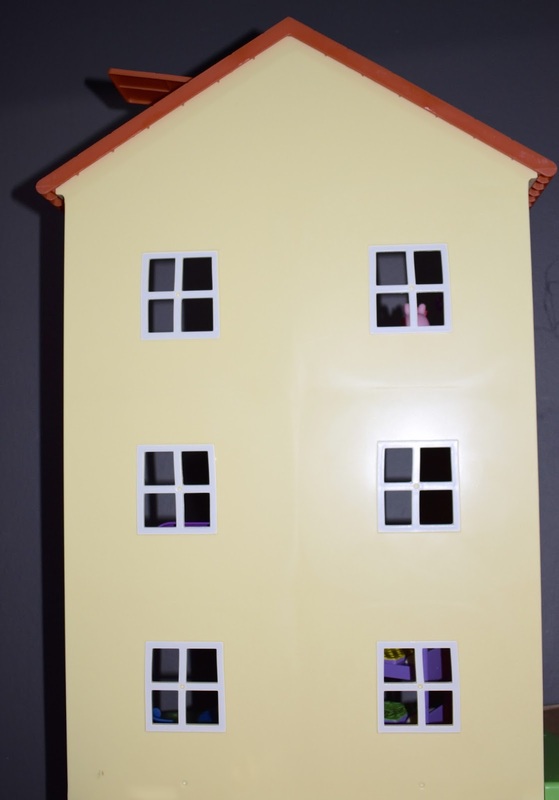 At 22" tall it's the perfect size, not too big to clutter the playroom and not too small that children would lose pieces. 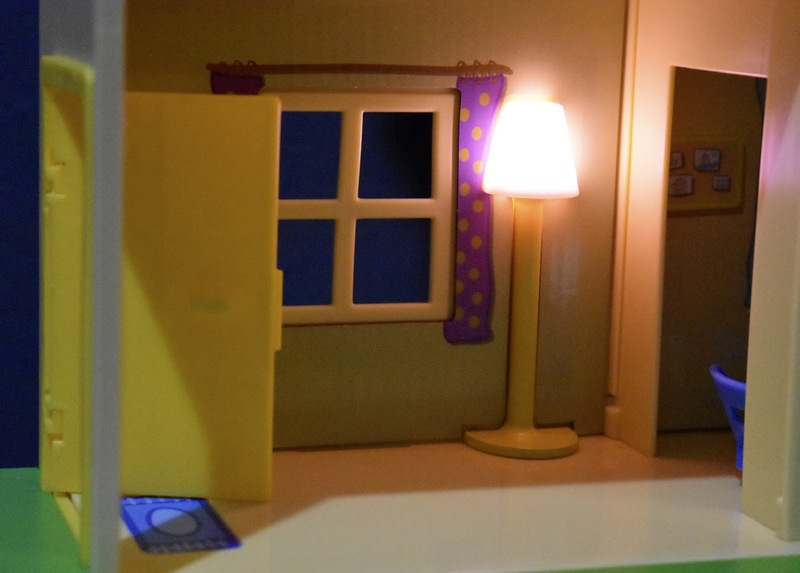 You read it right, there is lights and sounds in this little family home. 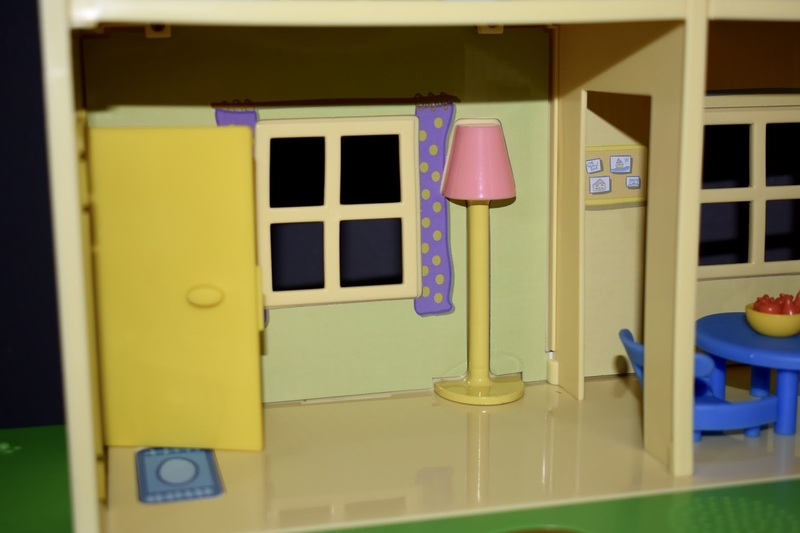 The doormat by the door turns on the light up lamp in the living room, along with different sounds by our beloved Peppa Pig characters. The muddy puddle in the front yard is the switch for the Muddy Puddles song. 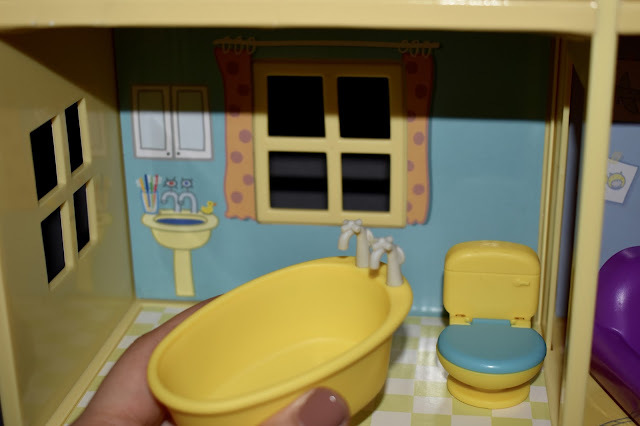 Gently press on these buttons to activate the features, kids can have fun as they play pretend with the adorable characters letting them walk into the home and play in the muddy puddle. 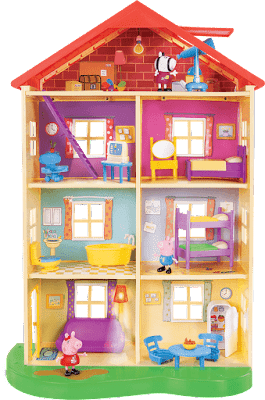 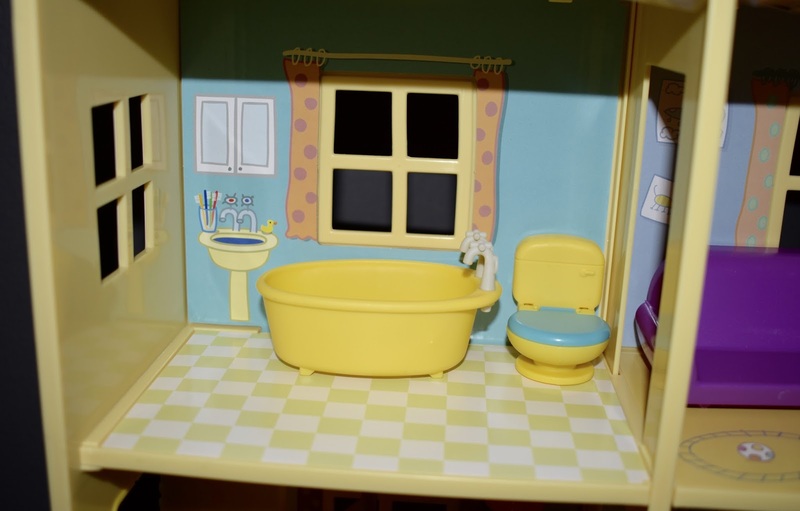 Growing up I've always wished for a dollhouse, and when I finally had my daughter I wanted her to want one, but she was never into dolls and dollhouses as much I was. 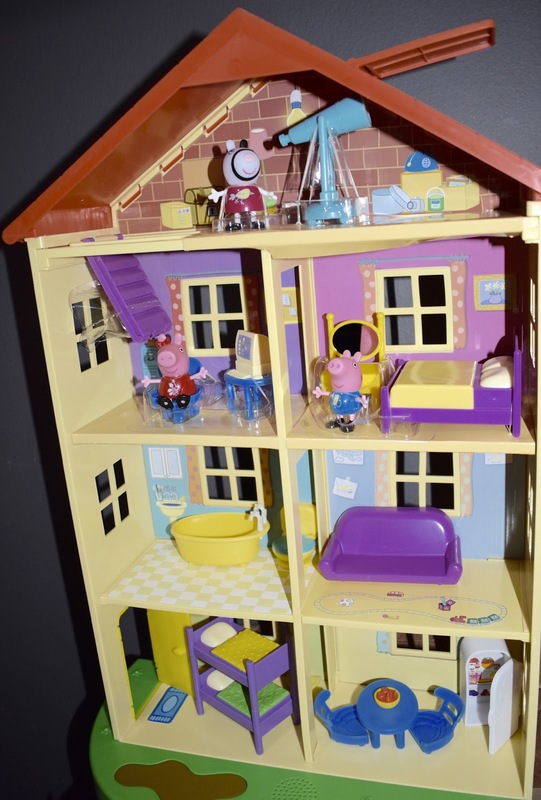 She's not one to point out a dollhouse, but a Peppa Pig's family home? 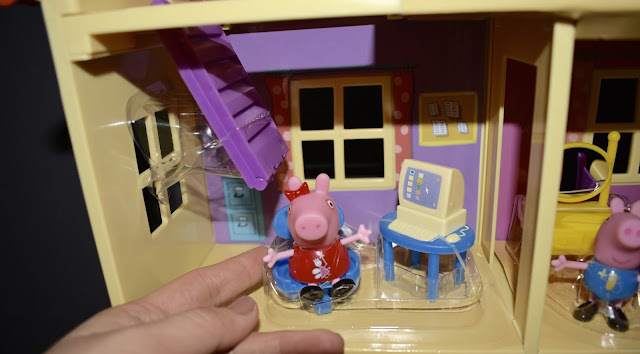 She was ecstatic, my two little ones love it. 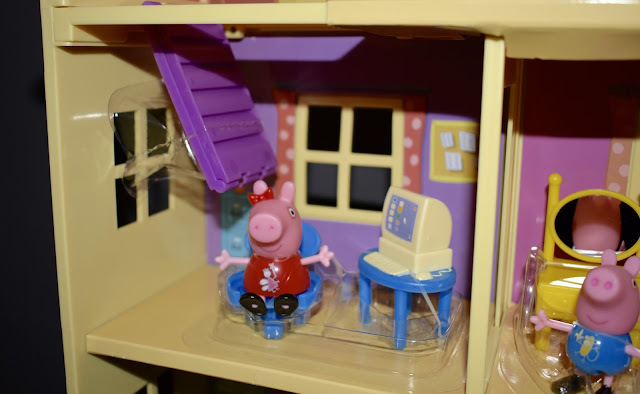 While we don't regularly watch the Peppa Pig show, we are general fans of Peppa Pig. Biggest thing is that it promotes imaginative play that so many children aren't given the opportunity to explore with so much screen-time these days. It also teaches children cause and effect, motor skills, and can even be used to teach young children names of household items using the fun accessories. 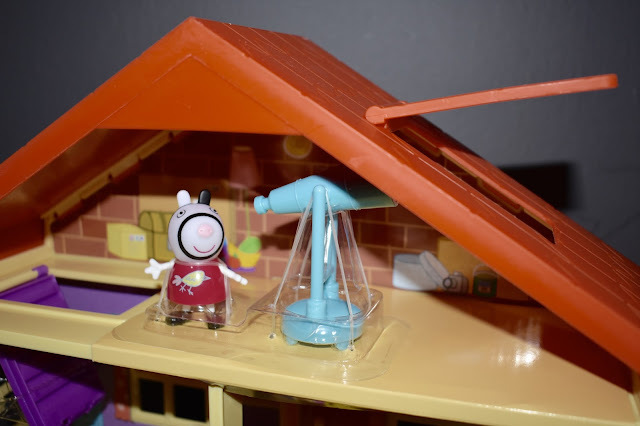 For example, my 2 year old now knows "telescope" because there's one in the Peppa Pig family home attic.